Xiaomi the Chinese smartphone maker is looking to launch a new camera centric smartphone that will have a 48-megapixel sensor. Xiaomi president Lin Bin shared teaser image on Weibo showing a back of smartphone with a 48MP primary camera at the top left corner. It also showed that it will have a dual-tone LED flash. The said sensors combines four pixels to work as one to increase light sensitivity and improved low light performance. The 48MP camera could also offer better zoom performance and better overall image quality. Earlier this year, Xiaomi formed an in-house camera division with the task of improving the image quality of their smartphones. It looks like the move is now paying dividends. Lin didn't share anything else, apart from the fact that the smartphone will be launched in January and that, apparently, he has been using it for a few weeks. Xiaomi could therefore be the first in the world to present a phone with a 48 megapixel camera, likely equipped with Sony IMX586 sensor or ISOCELL Bright GM1 by Samsung. These new sensors can benefit from a special algorithm that combines four pixels into one, in order to simulate better scene illumination - a function particularly suitable for shooting in dark environments. There is a possibility that this phone could be featuring the newly announced Snapdragon 855 chipset and 10 GB of RAM. 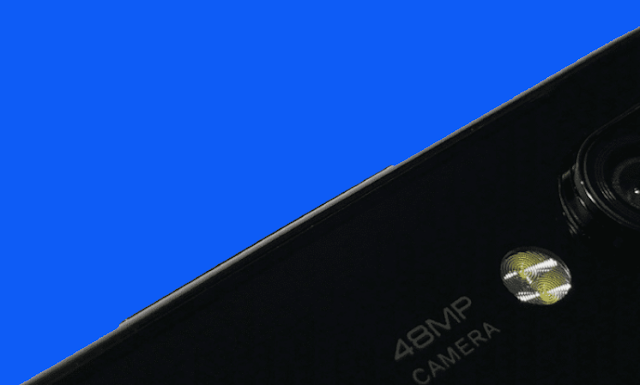 It is advisable to wait for further reports to confirm on the identity of the 48MP camera smartphone. No other information is available at the moment, but Lin suggests a January 2019 launch.